Efficient, Responsive & affordable – Special Offer Design Bundle £250 – see below for details! 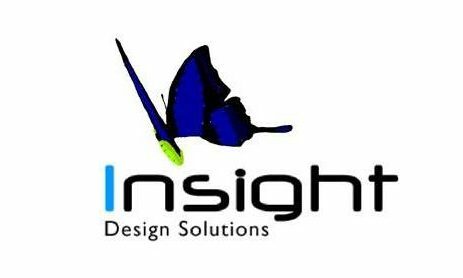 Insight Design Solutions is a graphic design and website design consultant service building custom websites for businesses, charities and organisations since 2004, when it was set up by 3 design graduates. We combined our expertise in web design and graphic design to make your brand as responsive and effective as possible in order for you to make a profit. DBS checked recently and insured to give you complete confidence. Stationery templates created (business card and letterhead) – printing can be done but at an extra cost. 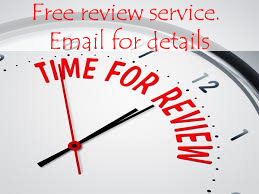 **Hosting (web space and mailboxes on my server) £35 per annum thereafter or if you require an ongoing maintenance agreement a quotation can be agreed upon. Cost per quarter – £25 – What is included? You could add a section to your website eg. a vlog, a blog, a chatbot (virtual assistant) or a new page if required or you can update your existing website text and imagery as you need (or grow). Annual hosting is included in the cost so you do not need to worry about that. Backups are stored off site using a cloud system. Based in Scarborough we serve customers up and down the Yorkshire Coast – Filey, Bridlington, Whitby and across Yorkshire and beyond. If you are looking for a website design, graphic design services(logo, brochures, posters, banners, uniforms, tshirts etc), ecommerce and a marketing and social media solutions specialist, then Insight Design Solutions is for you. Become Unique, Creative, And Artistic By Taking Breathtaking Photographs That Blow People’s Minds Away! Dozens Of Rare Trick Photography Ideas Are Included In This 295 Page E-book, Along With 9 Hours Of How-to Photography Video Tutorials. Click Here! We met with Insight Design Solutions in 2011 to discuss setting up a website for Castle Magic. From the start nothing was too much trouble for them – the attention to detail in promoting our business through the new website was second to none. Castle Magic had been in business from 1982 – avoiding technology as best it could!! Once we had Insight Design on board setting up the website and the relevant technology, we realised we should have contacted them years ago! The new website gave us an online presence that increased our customer base tremendously – so much so that new ideas and projects quickly followed – and they were always on hand to suggest changes and adapt the site as it flourished. In 2017 we are retiring from business – but wanted to thank Insight Design Solutions for hosting, maintaining, and answering our ‘technophobe’ questions for the last 6 years. It would not have been possible without you! This is a book cover we designed for a local Yorkshire author and is available on Amazon to buy!